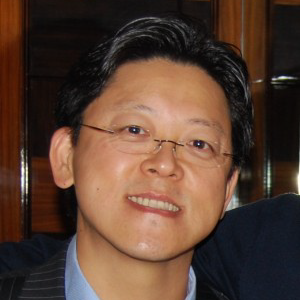 Jong Lee Chief Executive Officer of Hanson Robotics and Chairman of RGL Holdings,Ltd. He has spent over 15 years building and reinventing businesses as principal, executive, investor, banker and lawyer in the United States, Japan, South Korea and greater China. Jong specializes in technology, media, social enterprise, traditional industries and special purpose real estate. Current and prior portfolio companies include Nexon, Starbucks Beijing, MTV Japan, Good Morning Securities (Korea), SMIC (China), Bonham Strand, Hong Kong Commons and LotsofButtons.com.His areas of focus in Hong Kong include early stage technology companies, social enterprises, education and business turnarounds. Jong recently established the global headquarters for Hanson Robotics in Hong Kong where he is responsible for the overall strategic, business and financial leadership of the company. As Chairman and former Managing Director of RGL, Jong led RGL’s founding of Hong Kong Commons (www.hkcommons.com), a leading co-work and incubator platform, Bonham Strand (www.bonhamstrand.hk), a bespoke apparel social enterprise reaching out to disenfranchised master tailors, displaced garment workers and youth fighting drug addiction, and Lots of Buttons, the world’s largest online button and crafts retailer (www.lotsofbuttons.com) that actively recruits displaced merchandisers in Hong Kong.Jong earned his Juris Doctor degree from Columbia University where he was a Harlan Fiske Stone Scholar and graduated with honors from the University of Pennsylvania with degrees in Bioengineering and Political Science. Jong is co-curator of TEDx Hong Kong, an Adjunct Assistant Professor on business reinvention and technology at HK Poly University and serves on the Intellectual Property Trading Working Committee for the Hong Kong Government.